Happy Weekend! What are your plans for today? 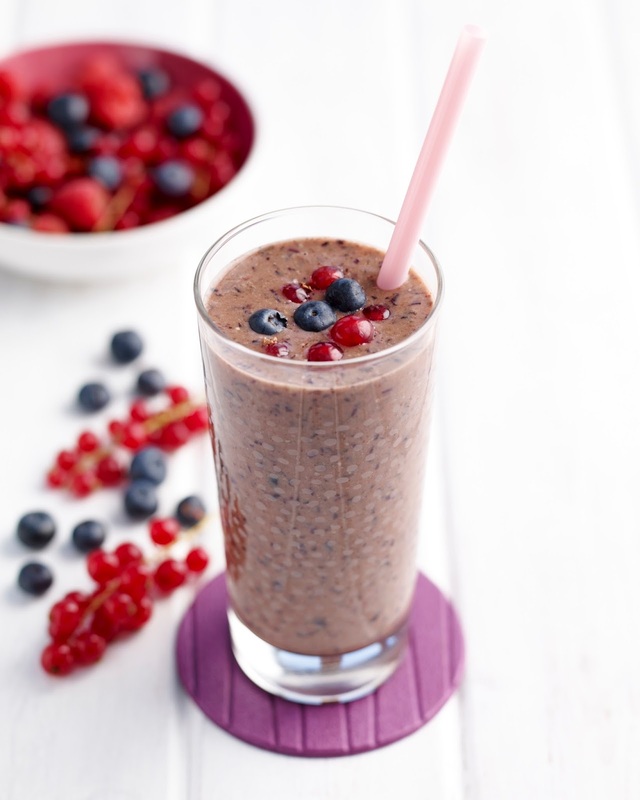 Are you looking for a nice and healthy smoothie recipe to try out? Maybe something nice and healthy for the weekday mornings? Have you ever combined green tea with a smoothie before? Green tea, boiling water, Meridian almond butter, a selection of blueberries & red currants, 1 tsp ground flax seed, honey or other natural sweeteners to taste. This easy smoothie combines the natural goodness of green tea and the natural energy boosting qualities of nut butter. It has everything you need to keep you going throughout the day with the added bonus of tasting great too! Fancy trying out this green tea smoothie? Steep the teabags in the boiling water for 4 minutes, remove the bags and chill the tea. Make this ahead and keep in the fridge. Put all the ingredients into a blender, liquidiser or nutribullet and blend until smooth. Drink immediately or chill for later. Smoothie is suitable for a vegan diet. Recipe and photography courtesy of Meridian Foods. Do you make smoothies with tea in them? If so what flavour tea do you think works best in smoothies? Fancy trying this Green Tea Smoothie recipe? Love to hear your thought. If you are looking for more inspiration recipes, please follow along by email or any of the social media channels above. Let us know if you get to try this recipe out. "Elderflower And Strawberry Panna Cotta.."